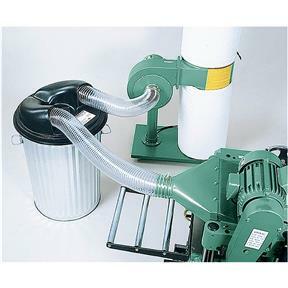 This Dust Collection Separator increases the efficiency and capacity of standard dust collection systems. Designed to fit securely on top of a standard 30-gallon metal trash can, this molded ABS fitting is engineered to drop out larger particles from the dust flow. 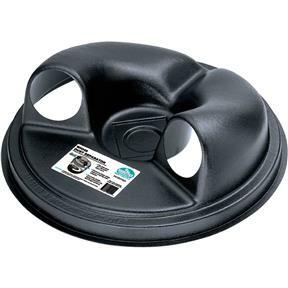 The fitting features molded inlets and outlets which can be easily connected to standard systems using 4" flexible hose. You'll be amazed at how well it works! 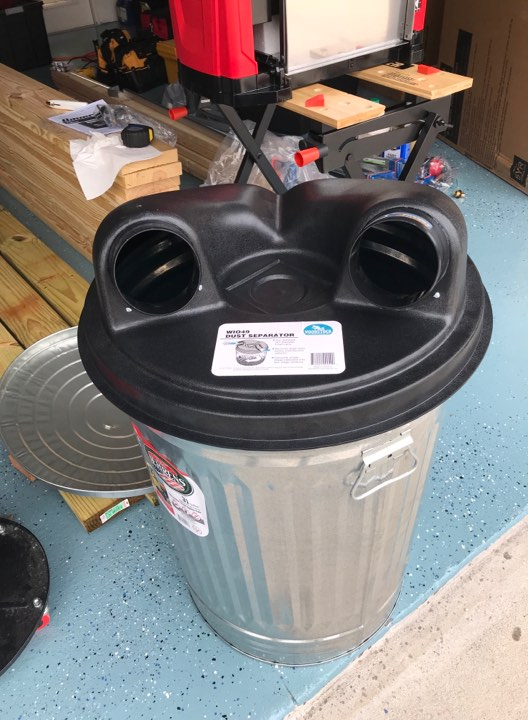 Metal trash can must be used for grounding purposes. 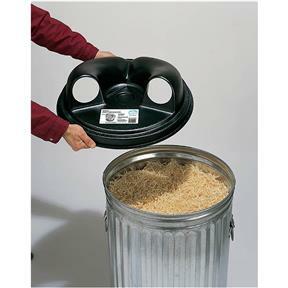 Fits cans with 20" - 21" diameter opening. 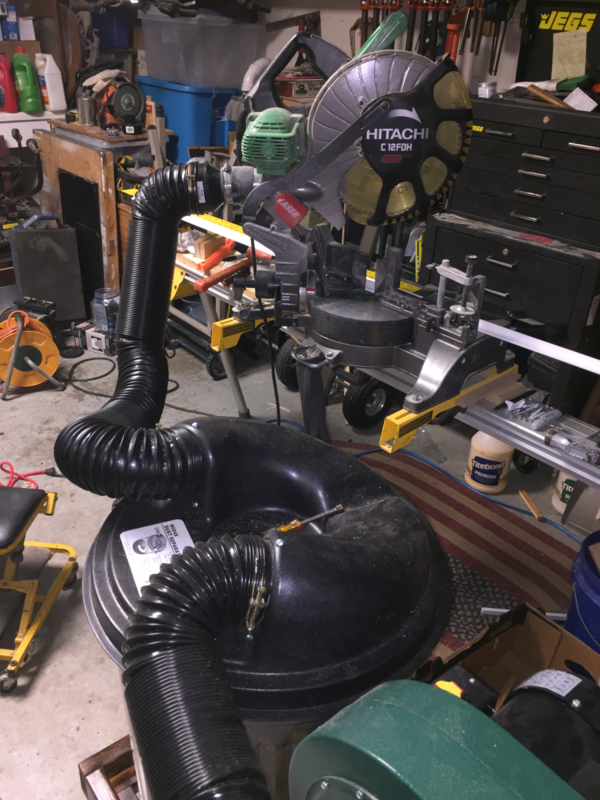 Got tired of clearing the hose jams in my dust collection system and tried this. PROBLEM SOLVED!! I bought this a little bit ago and I couldn't be happier.. 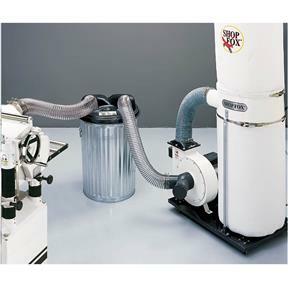 This product turned my Single Stage Dust Collection System into a 2 Stage Collection System. I did however have to make a small modification to this separater. I purchased (2) 12 1/4"x12 1/4" Dust Hoods with a 4" hose inlet. 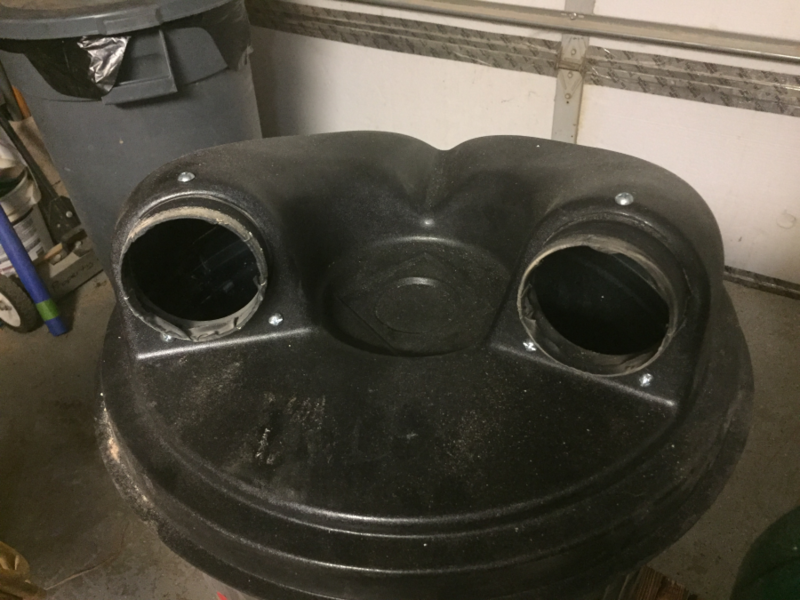 I cut and modified them to fit the hose holes on this 2 stage Dust Collection System. This allowed me to better attach the 4" hose to this Product.. I'd recommend making a (2) Stage Dust Collector to anyone who is buying the G8027 1HP Dust Collector or anything that the sawdust has to pass through the fan blades of the collector. It will keep the larger particles out of the fan blades and prolong the life of the collector. 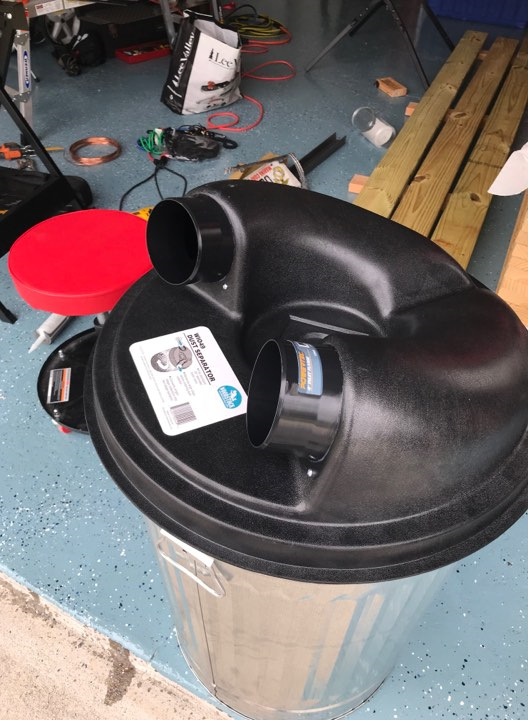 It also saves bags that go on the collector as only the smallest particles makes it to the bags at the bottom.. you just have to empty the 31gallon trash can when it fills up. And no it does not take any suction away by adding this 2nd Stage. I read from others that the hose just stuck in the holes and leaked. 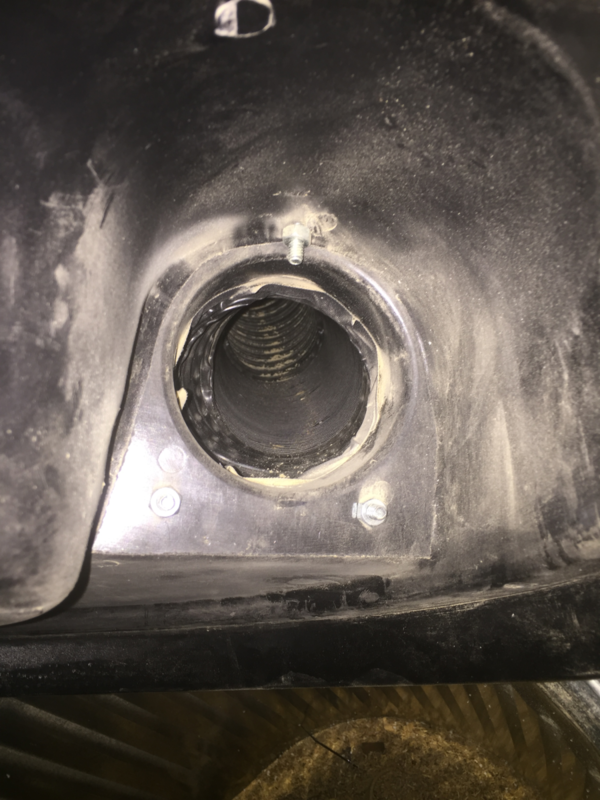 I bought 2- 4" flanges and modified them and mounted them in the holes. Also added a foam seal around the perimeter. Works amazing now. There I were no direction or connectors to attach the 4 hose. You are on your own as to how you attach the hoses. I'm going to buy a trash can and one of these for each machine that produces chips; my lathe, jointer, band saw, table saw, chop saw. Seems to be a lot less expensive than the cyclone collector. It does the job well. 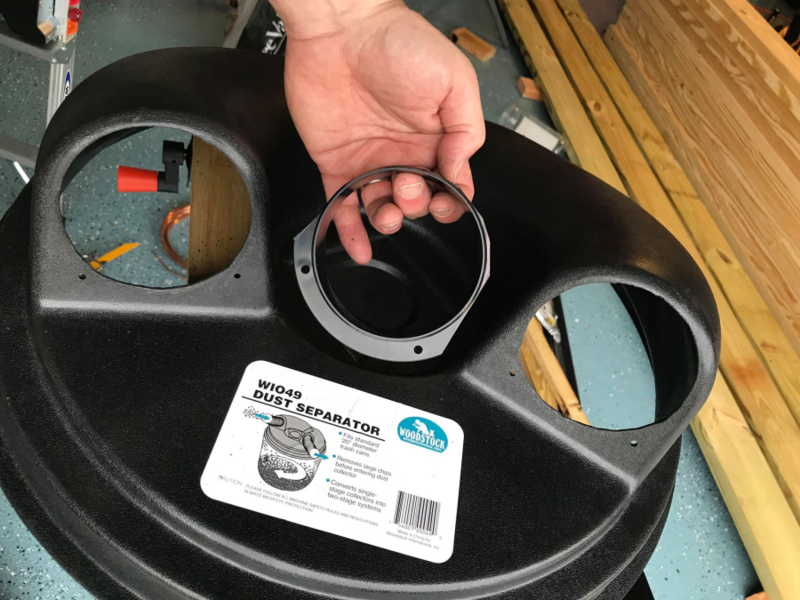 The only thing I don't like about it is how you have to sort of thread the hose in the holes to connect it. There has to be a better way to connect the hose. I was going to make one of these but this is just the ticket. I would recommend only with caution. 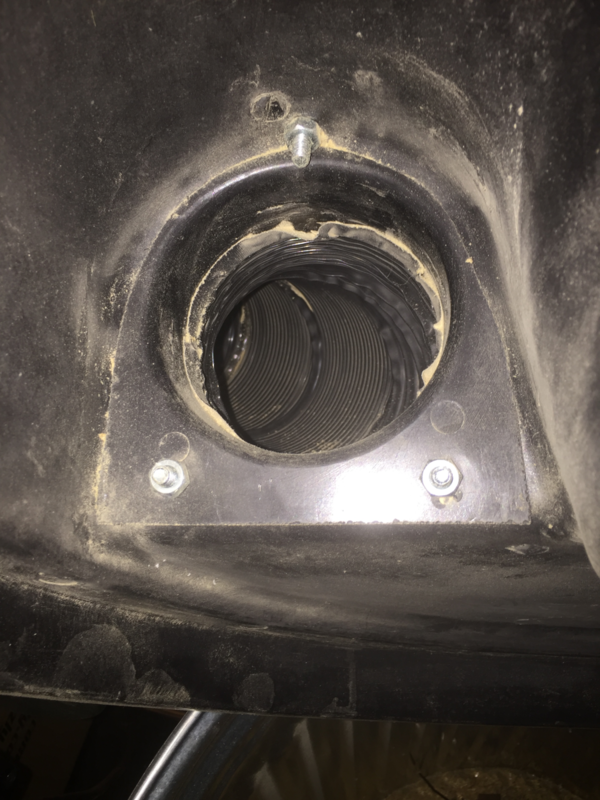 There is no easy way to stop the air leakage around the hoses. I almost gave this two stars instead of 3. An extrusion, to connect the hoses to would be great. The manufacturer gave no thought to the performance loss of the dust collection system. Poor design for an over priced lid. one of the best product I have bought. Does exactly what it says it will do, separate dust from chips. Chips in the trash can, dust in the collector bag. Initially a bit unsure if the hoses would stay put but so far, so good. Could use a gasket around the rim for better seal but that can be hacked in with some weatherstripping tape. Low profile as opposed to style sold elsewhere means whole rig fits under my tablesaw wing. 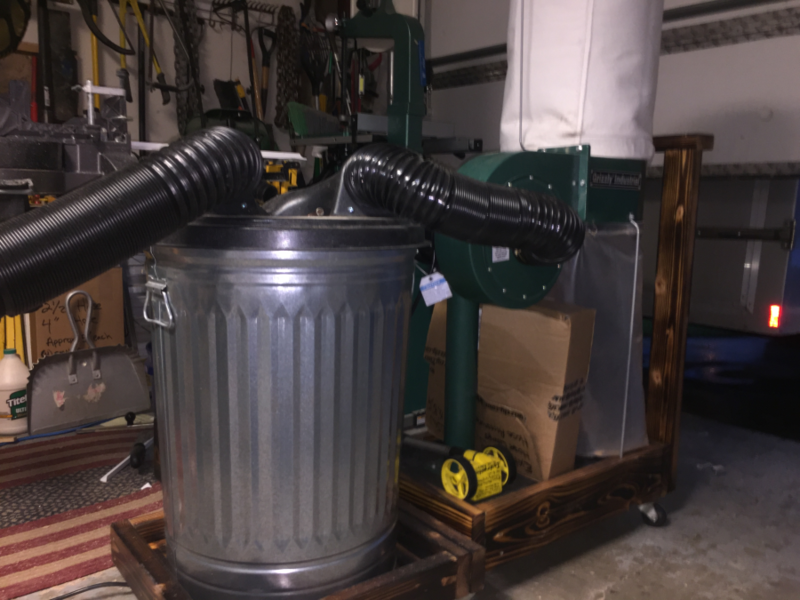 So far I am very happy with this economical dust collector. I use it with my new Super Max 1938 drum sander and it does the job. I would recommend it to anyone who needs a space saving but effective way to collect sawdust. The separator lid also appears to be doing its job. nice to see dust in the can and an empty collector bag. Glad I purchased them both. This worked surprisingly well before I made any modifications to it. But after I made it air tight it performs even better making my system that much more efficient. The product does what it's supposed to do and when on sales it's a great buy. 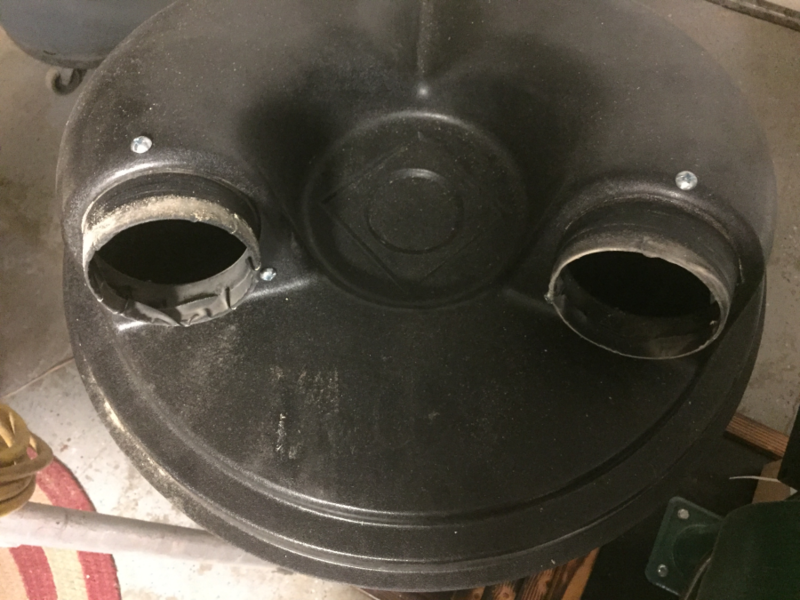 The problem I had was that vacuum was lost due to the separator not having a good seal around the area where it rests on the trash bucket. I added a foam ring around the inside of the cover to increase the vacuum seal and the vacuum was increased. I coupled the G1163P Portable Dust Collector and W1049 2 Stage Cyclone Seperator. This is an excellent combination for my shop. Dust and dirt has been reduced considerably. bought with my collector and have used it on my table saw. Collects about 1/2 of the saw dust from the saw. Bet it will do even better on my planner.